John Mopper spent about 5 years working in the music industry as an entertainment publicist and manager. After witnessing the effects the pressures and demands of this industry had on the well-being of the young people he was working with, John decided to switch gears and turn his focus toward the study of mental health. After receiving a graduate degree in Clinical Mental Health Counseling, he began working for one of New Jersey’s largest Partial hospitalization facilities in their adolescent and young adult programs. 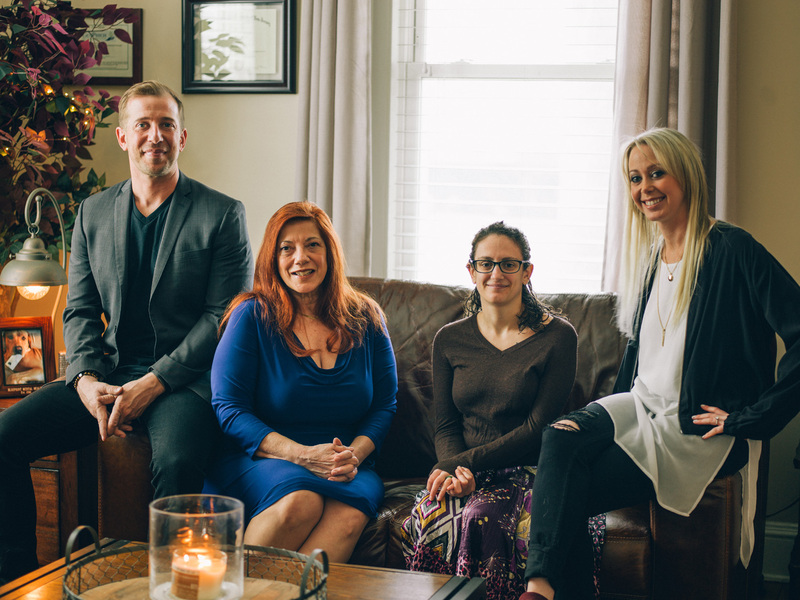 While working in these programs, John was foundationally trained in Dialectical Behavioral Therapy (DBT) and was a primary therapist on their DBT adherent team. Throughout his time on this team, he visited over 60 schools in New Jersey and conducted trainings for school counselors on the use of DBT in a school setting. John’s approach to DBT has evolved over the years and he now prides himself on presenting a “real world” and fun perspective to an approach that can be somewhat dry at times. 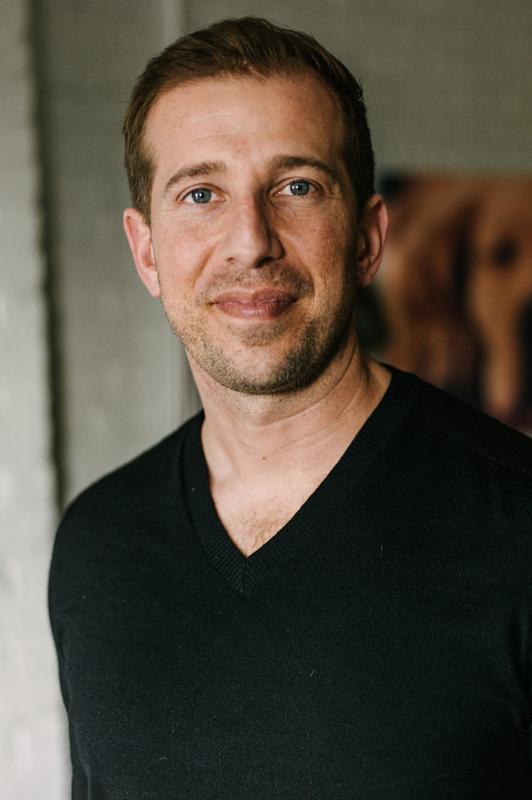 In 2018, John Merged his practice with his fiance, Michele who now co-owns Blueprint with him. In his free time, he enjoys walking his Yellow Labrador, Toby (Blueprint Therapy Dog in Training) around Somerville where they live, cooking and checking out new restaurants. Michele spent six years at one of the largest child and adolescent outpatient program in NJ moving through various clinical and supervisory roles, including Program Director. Within those six years, she additionally opened her own private practice, True Triumph Counseling, and went back to school to train at the Ackerman Institute of Family Therapy in NYC. John proposed to Michele in the summer of 2017, and in 2018 Michele merged her practice with Blueprint and became a co-owner alongside with John, and continues to supervise other clinicians. Michele specializes in child and adolescent family therapy and parent coaching. When kids shut down or act out, it leaves a parent lost as to what’s going on with their kid, what to do, and how to talk to them. Through gaining a strong rapport with the whole family, she helps them acknowledge what’s going on, and build skills to talk to each other differently. Basically, she helps families understand each other and like each other again. When she’s not in the office, you’ll find Michele obsessing over animals, eating sushi, watching friends, and listening to Bon Jovi. 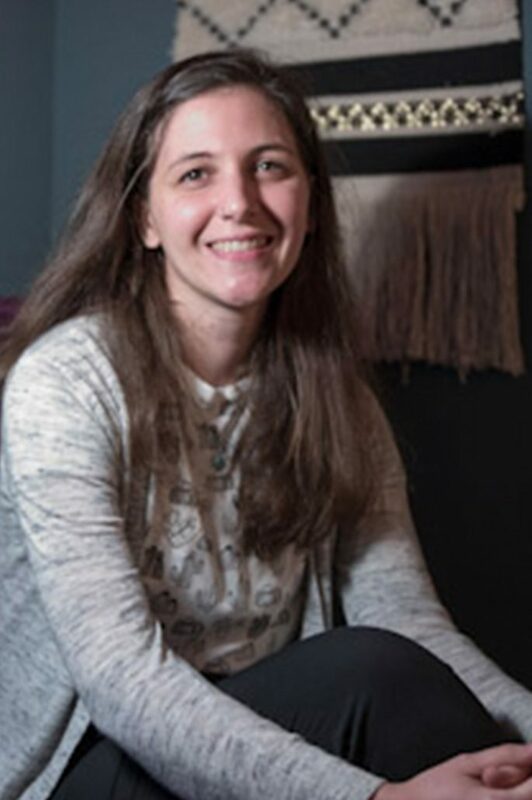 Leah is a child, pre-teen, and adolescent therapist who has been working in the mental health field for the past five years in both inpatient hospital and intensive outpatient settings. She specializes in working with children on the younger side who are struggling with various issues including social skills, communication skills, and general coping skills. She loves to work with families and be part of their process in helping them better understand their child and their behavior. We have seen her work what seems like magic with children and their families; but in reality, it’s just incredible clinical work. She is an incredibly gifted therapist with a very unique (and we think quirky) personality, earning her the title of “The Magician with the Littles”. She is an avid gardener and enjoys being outside during warmer seasons, or crafting and watching movies during the colder months. We are excited to bring her gardening skills and infectious laugh to Blueprint. Eboni Gadson specializes in creating a down-to-earth, authentic space for teens and young adults in both individual therapy and group therapy at Blueprint. 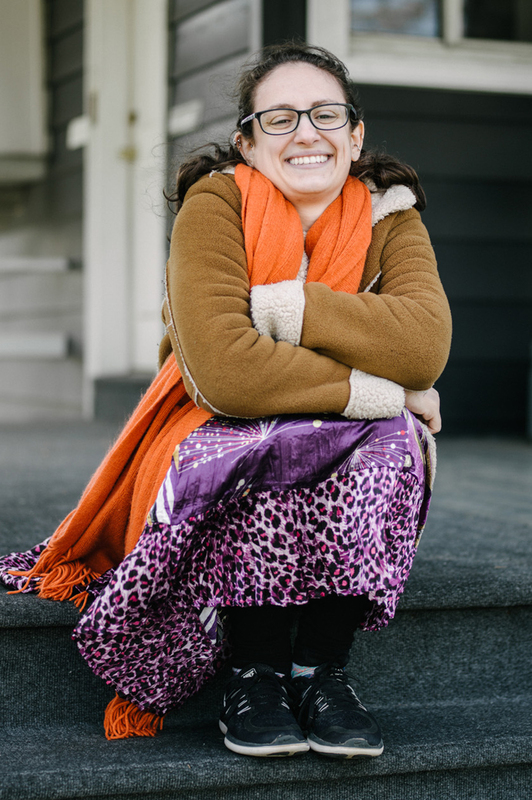 She is the facilitator of our beloved “Girl Squad” group, which focuses on helping teen girls build confidence, manage anxiety and work through the relational struggles of the world today. She additionally specializes in LGBTQ, sexuality, and identity-related concerns and the specific issues that arise within these areas. She has led various discussions and workshops on topics such as trauma, consent, and healthy relationships, and conducted her own cor-relational study about marriage in the millennial population. You’ll find Eboni with a hot cup of tea (no coffee) and a pretty awesome style. Eboni brings a very comforting and empowering vibe to Blueprint and to her clients. Jess has worked as a mental health, college & career counselor for the past four years. 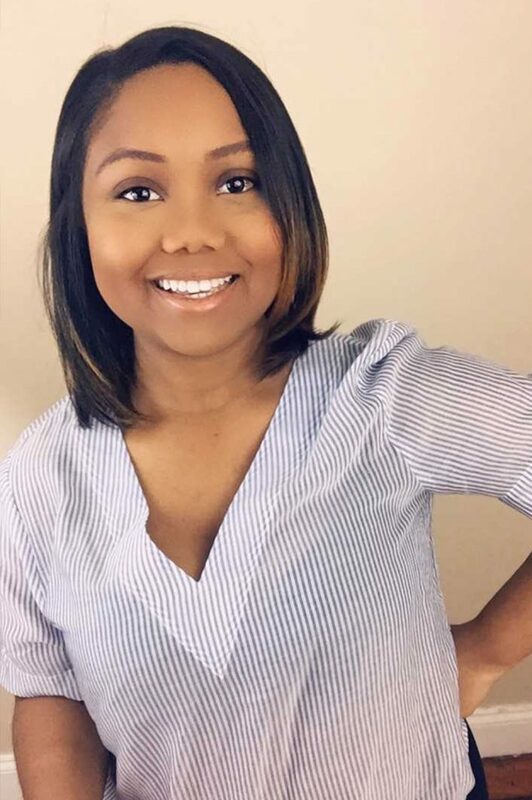 She earned a bachelor’s degree in psychology and master’s degree in counseling at The College of New Jersey where she focused on human development and group counseling. Jess has worked primarily in school and college settings with adolescents. She is currently a high school counselor for students with learning differences, helping them to develop coping skills, discover their strengths, explore careers, and navigate the transition to college. While she appreciates how stressful the world is today, Jess challenges her clients to help them build skills to navigate the world that they are living in. Jess incorporates mindfulness meditation into her counseling practice as well as into her own life. In her spare time, Jess enjoys gardening, kayaking, singing karaoke, watching documentaries, and volunteering with animals. Although she loves Toby, (how can you not), she has to admit that cats are her real favorite animals. Sarah works with children, teens, and young adults. She has experience in the field in numerous intensive treatment facilities, including residential and partial care programs for young adults and adolescents. 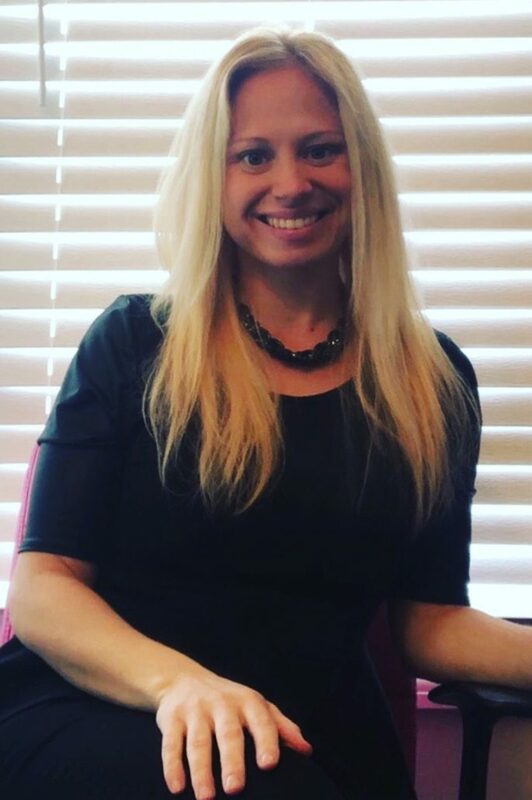 She specializes in Dialectical Behavior Therapy and Cognitive Behavioral Therapy that focuses on exploring her clients past and present thoughts and behaviors. Her goal is to help her clients develop confidence in how to cope with the world around them. She additionally specializes in maternal mental health, including postpartum depression and anxiety, and prenatal depression and anxiety. 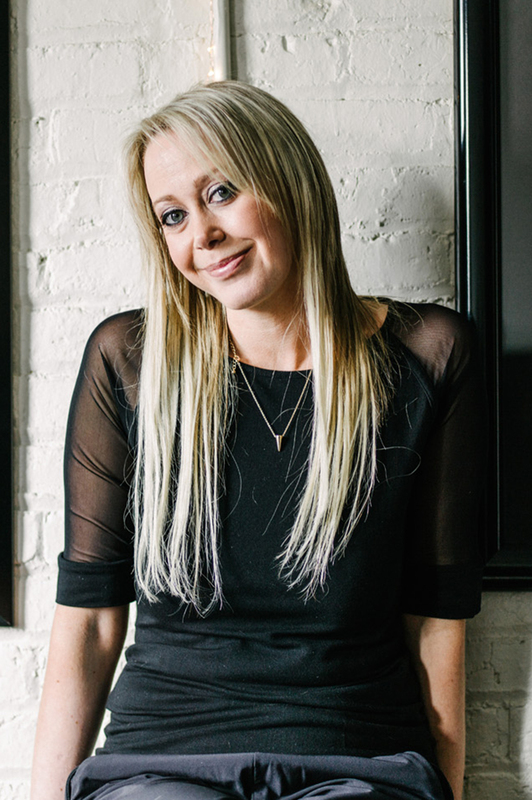 Sarah brings a variety of experience into Blueprint in addition to her contagious positive energy and sense of humor. In her spare time, she likes to take her son (her mini-her) on the swings, go for jogs, and play with her adorable dogs. Clearly, we are all animal people at Blueprint. Hello, humans. My full name is Tobias Chad Mopper but my friends call me Toby. I am a three-year-old “American Yellow Lab”, and Blueprint’s Therapy Dog In Perpetual Training. See there is a difference between American and English Labs. English labs are shorter and stockier than I am. 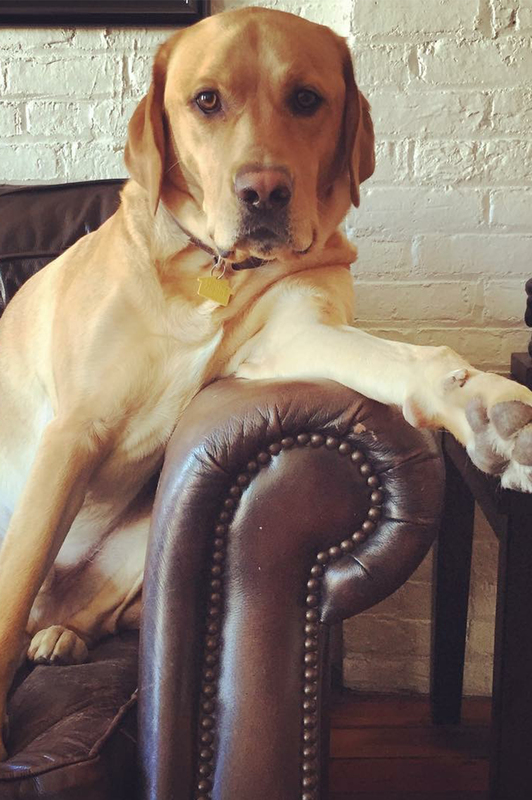 As an American Lab, I am taller, leaner, and according to everyone I meet, “such a beautiful dog” (You may have already thought that when you looked at my bio picture). My humans John and Michele own the place, which allows me to be at Blueprint whether I have my therapy dog certification or not. It’s not that I’m not capable of passing the test, I just refuse to conform to their fascist policies and what a “good therapy dog” should be like. In my spare time, I love hanging with my baby kitten sister Penny (she was an accident), Monday nights (steak nights), kickin it with my homies at the dog park, posting my thoughts on our Instagram, and invading my human’s personal space. All kidding aside, my number one favorite thing in the world is putting smiles on people’s faces, especially when there are treats involved. Look forward to seeing you at 73 West End.